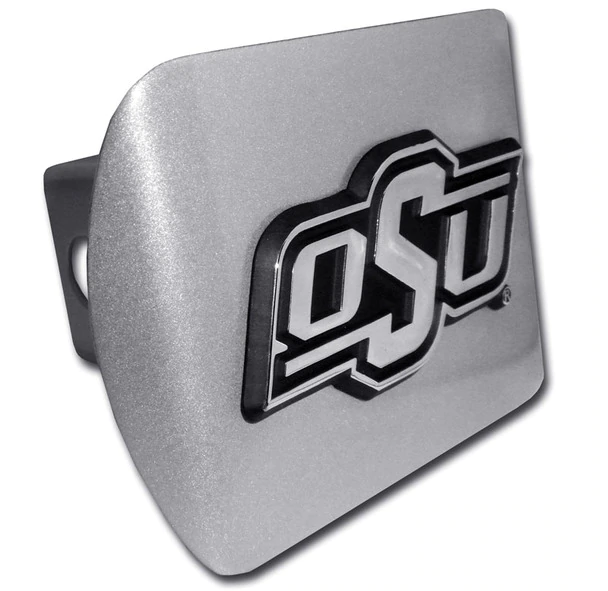 This Oklahoma State University brushed chrome hitch cover will look great on your truck and is a classy, clever alternative to a bumper sticker. Made in the USA! Elektroplate produces the highest quality hitch covers on the market today. They are made of heavy gauge steel with a weather resistant coating. A satin silver finish is applied via a complex powder coating process to ensure durability in harsh outdoor environments. Guaranteed not to fade, chip, peel, rust or fall off. Our hitch covers also have a much better appearance than most others.